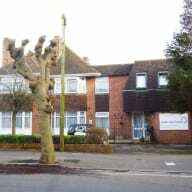 Reside Care Home in Christchurch, Dorset has been sold to local operator, WCN Care. The home, which was formerly operated by Hadland Care Group, was purchased in a deal completed through specialist business property adviser Christie & Co and solicitors, Royds Withy King. The home, which is registered for 20 residents, comprises 20 single en-suite bedrooms set over three floors. Royds Withy King acted on behalf of WCN Care to advise on the legal process of the purchase. The post Dorset care home sold to local care provider appeared first on Care Home Professional.